The answer to, "Does homeowners insurance cover mold?" really depends on your policy. If you have discovered mold in your home or think you may have mold, it’s best to contact your public adjuster to help assess the situation and go over your insurance policy. Usually, the coverage for mold damages hinges on what caused the mold growth initially. Of course, mold needs dampness, moisture and water to thrive, so your policy might cover mold resulting from a sudden event, such as a bursting pipe, but not from flood damage. With the help of a public adjuster, you can mitigate damages and determine if your damages warrant filing a claim on your homeowners policy. You may also be asking, "Does homeowners insurance cover black mold?" As we know, mold can be very damaging to your health. If your home has black mold, it needs immediate attention. The most common health effect of mold are respiratory issues (such as coughing, sneezing, headaches, chronic fatigue). 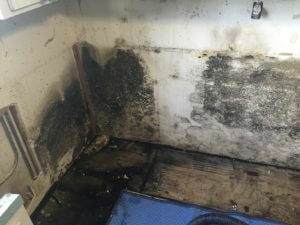 Black mold specifically is toxic and can be dangerous to your family and pets health if they come in contact with it. 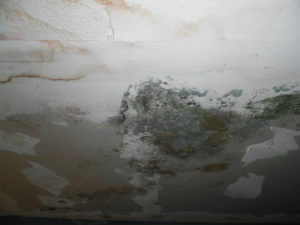 All Claims USA’s team will bring in experts to let you know if you have mold and the details of what kind of mold, etc. Dealing with a water damage claim can be challenging and tricky. Your home is your most important investment, so you want to make sure you don’t let any cases of mold or water damage remain in place. After the problems is thoroughly assessed and revealed, we can help you with the details of how to proceed with the claim and your repairs. Our team will help you mitigate the damages and come up with the proper clean up techniques and detailed construction processes to leave your home looking its best. We hope we've helped to somewhat clarify the question, "Does house insurance cover mold?" for you. All Claims USA understands that the damage needs to be properly addressed so you don't have future problems. We are also well aware of how other areas of your home might have become exposed to future problems as a result of the current damage. We define detailed construction processes, professional and accurate cleanup methods, and use estimating tools that are accurate and critical to ensure you get the problem addressed promptly and properly. If your home has suffered water damage and mold damage, make one call to the professionals who will make sure you get your problems taken care of right.